What are the best copper stocks on the TSX so far this year? These five companies have seen the biggest gains year-to-date. With the curtain now closed on 2019’s first quarter, the Investing News Network has rounded up the best copper stocks on the TSX by share price performance so far this year. Many saw quiet beginnings to the new year but boosted their share prices through new discoveries, joint ventures and project expansions. All year-to-date and share price information was obtained on April 4, 2019, from TradingView. All companies listed had market caps above C$50 million at that time. A Chile-based copper company, Coro Mining’s primary focus revolves around exploring and developing new sources of the base metal to help supply global demand. 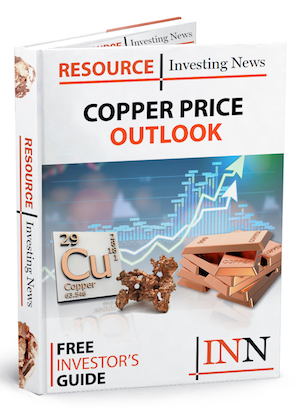 Coro’s flagship asset is its Marimaca project in Chile, which the company boasts could become one of the “most significant” copper oxide discoveries in years. While Coro’s share price saw fairly minimal movement for the first half of Q1, things began to pick up in mid-February after the company gave an exploration update for Marimaca and sold its Berta mine to a private Chilean company. The company’s stock price got one final boost for the quarter in early March after another exploration update from Marimaca that saw a mineralized zone area grow by 44 percent. Touted as a British Columbia explorer, developer and mining operator, Imperial Metals has an extensive history in the mining scene that dates back to 1959. It owns three key assets: the Red Chris copper-gold mine, the Mount Polley copper-gold mine and the Huckleberry open pit copper mine. The company saw a fairly quiet first quarter as its share price spent much of January and February hovering between C$1.80 and C$2. 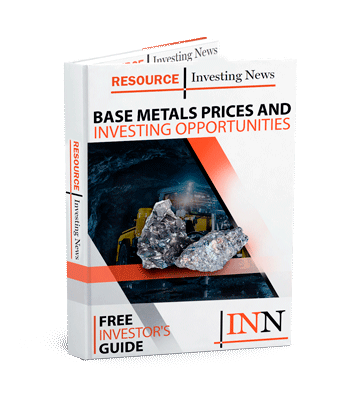 However, Imperial got a massive boost in early March when it entered a joint venture with major miner Newcrest Mining (ASX:NCM,OTC Pink:NCMGF) over its Red Chris asset. The deal saw Imperial sell a 70 percent stake in Red Chris for US$806.5 million in cash, boosting its share price to over C$3. Referring to itself as the “next mid-tier copper producer,” Ero Copper is a base metals miner that uses its 99.6 percent stake in Mineração Caraíba (MCSA), a Brazilian copper company, to help achieve production growth. MCSA’s two primary assets are its Boa Esperanҫa development project in Pará State, Brazil, and its MCSA Mining Complex, which houses a fully integrated mining and processing operation. Ero had a quiet Q1 on the news front, putting out only three press releases in the last three months, two of which were related to production results. Having said that, the company’s share price experienced gradual growth from mid-February onwards, eventually peaking at C$17.43 on March 12. With a key focus on discovering, producing and marketing base and precious metals throughout the Americas, Hudbay Minerals is a Canadian company with assets in its homeland, the United States and Peru. The company’s operations include its Constancia copper-porphyry project in Peru, its Rosemont copper-molybdenum–silver mine in Arizona and its multiple mines, processing facilities and concentrators in Flin Flon and Snow Lake, Manitoba. Hudbay’s share price has made continuous steps forward throughout 2019’s first quarter. It started at C$6.76 on January 4 and has since grown to C$9.75. While the company hasn’t made any groundbreaking announcements over the past few months, steady positivity from deposit discoveries, progress at Rosemont and resource upgrades have kept the company’s stock afloat. First incorporated in 1983, First Quantum Minerals has established itself as a force to be reckoned with, placing itself as one of the top 10 copper producers in the world. The company currently has six operating mines, one mine on care and maintenance and four development projects under its belt. The company’s stock made leaps and bounds through January, growing from C$10.32 on January 4 to C$15.21 by the end of the month. While First Quantum saw its quarterly peak on February 25 at C$16.16, it spent most of March simmering down and staying quiet, minus a last-minute end-of-the-month announcement about expanding its Cobre Panama copper development project.